I am healthier in my late 30’s than early 20’s. Core training has become a growing fitness trend in recent years and used by personal trainers as a common method of training. the objective is to uniformly strengthen the superficial and deep muscles that stabilize, move and align the trunk of the body. These exercises especially the back and the abdominal muscles. Historically, physical therapists would work a client’s core muscles to help with lower back issues. More recently has grown popular with athletes to aid in sport performance. Core programs are regularly built for training clients with goals ranging from flatter mid sections to needing a stronger lower back. A weak core leads to a fundamental problem inherent to ineffective movements that tend to lead to injury. designing a proper core program helps gain neuromuscular control, strength, muscular endurance, stability and power. Regardless of age, or physical level, core training should be introduced into your regular training routine. If unsure where to start, contact a fitness professional to show you the best and safest ways to train your core. You don’t always need weights to get the job done! Your body and your surroundings are all you really need! Ray Shonk and his son’s love working out together. 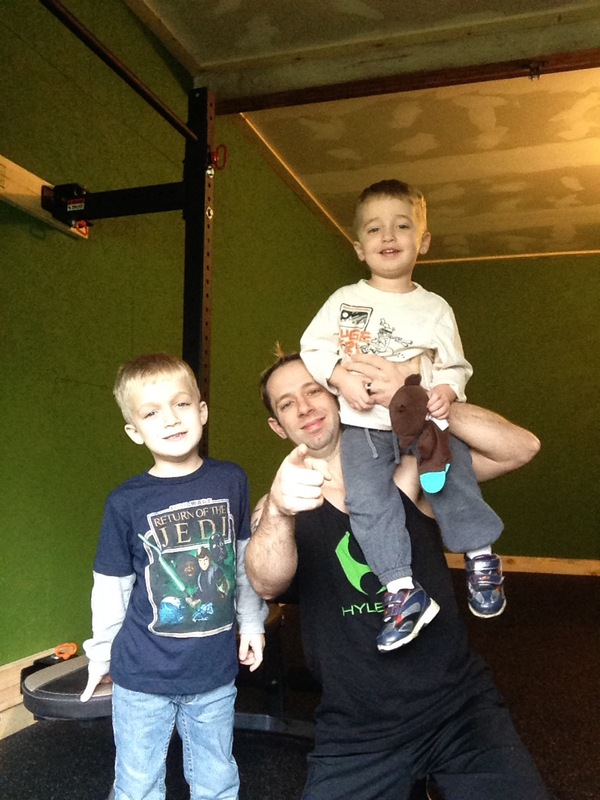 Quest Fitness is passionate about Fit Kids. The best answer I can give is: Lead By Example. If you come home and crash right on the couch they will do the same. I know a lot of us don’t have a ton of time at home, but there is a lot you can do with your kids in just a few minutes. Most important though is making a game out of working-out. Make exercise fun and fitness will become a life long journey for them. Do you need someone to watch your kids while you workout, or help you create routines to get your children involved in exercising? I can help. If You Want Fitness, Then Take It! Strength Dosen’t Come From what We Can Do, It Comes From Overcoming What We Thought We Couldn’t Do. Today I made it a point to increase the difficulty of my workout. 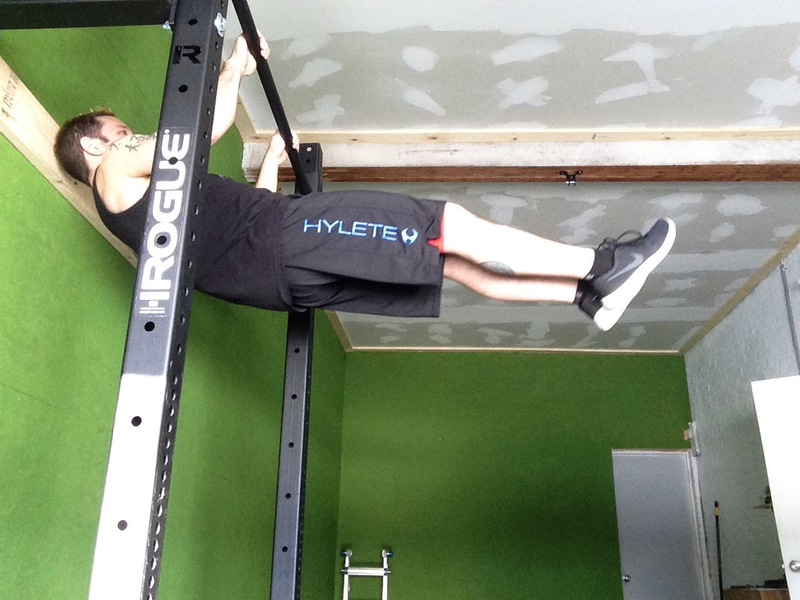 4-sets of 16 archer pull ups. If you want it bad enough, then push for it. You can accomplish anything if you really want it! Need more motivation? Check out this section of my blog. This is the first full week of the New Year! Set small achievable goals. To often I hear goals that are not realistic, such as “I want to lose 50-lbs in a month.” In all reality a healthy goal would be 1-2 lbs a week. Even with that, your weight will still fluctuate. Next, never be afraid to ask for help. Most gyms have professional trainers on staff that are there to help you reach your goals safely. No, hiring a trainer doesn’t show weakness, remember even the greatest athletes had trainers. Don’t give up! Fitness is a long journey and should be taken one-day-at-a-time. Eventually you will be amazed at what you can achieve! Finished up today’s workout with some isometric front levers. I admit these are not easy for me, I struggle each time I do them, but I know they will get better with time! Don’t give up, push through and you will be amazed at what you can do!